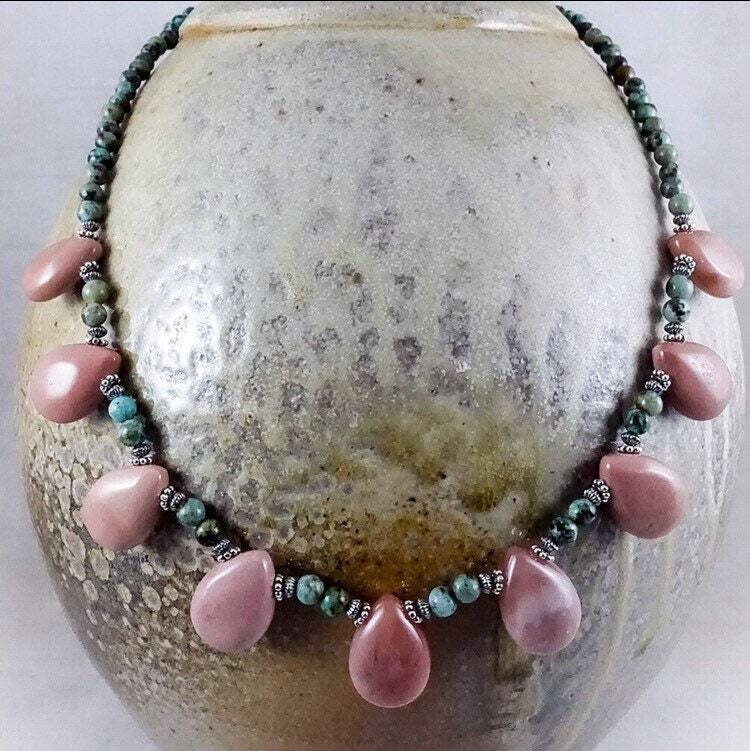 African turquoise, sterling silver beads, and pink jasper. 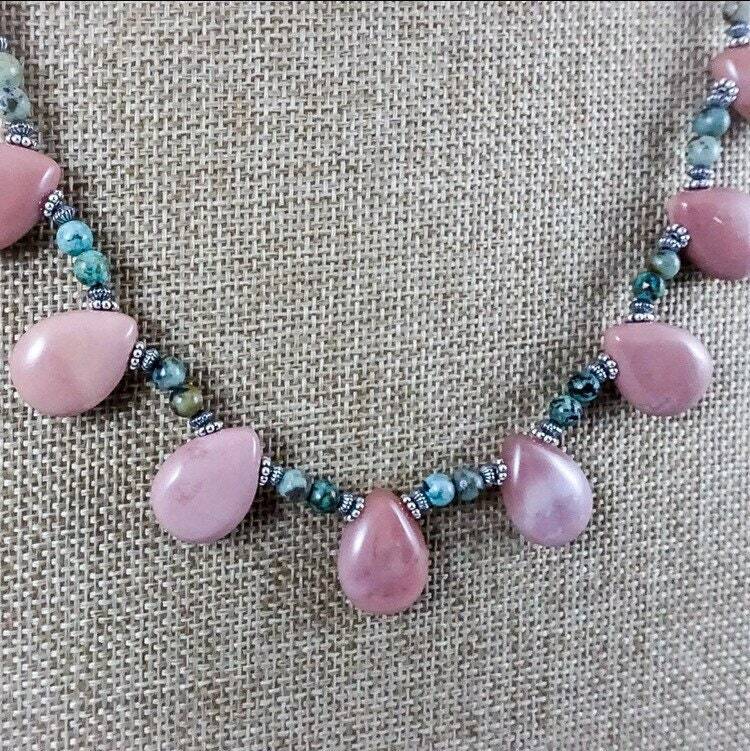 This beautiful necklace’s calm pinks and soothing light blue-greens will enhance the wearer’s natural beauty. 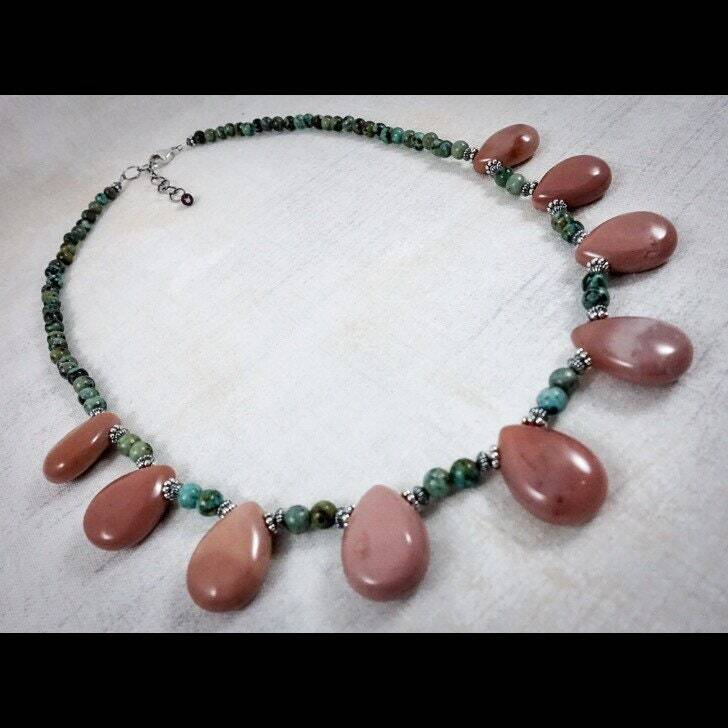 A statement piece, wear alone or paired with any of our ceramic or sterling silver earrings for a completed look. 18 inches, priced at $172.